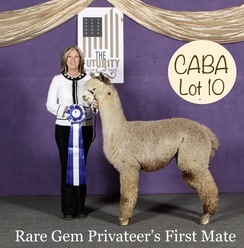 Rare Gem Alpacas is a farm located in Hemet, California owned by Darcy Phillips. 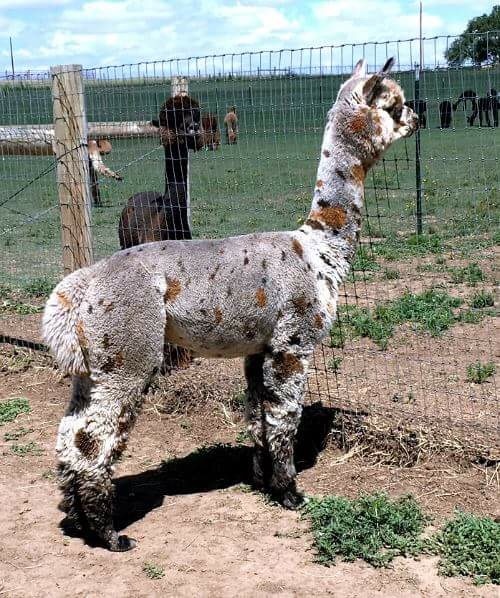 Breeding Harlequin, Appaloosa and Unique Colors! Lucky has settled his first girls!! CABA Auction Lots # 10 & 15. You Can't Miss!! We are extremely pleased and proud to offer two very unique alpacas for sale. 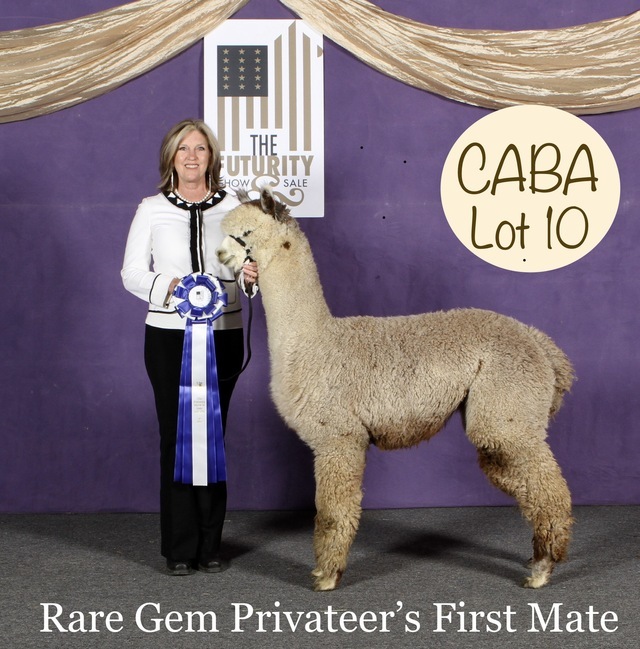 Rare Gem Privateer’s First Mate is a handsome male with a well-defined fleece structure that is uniform throughout. He sports a solid blanket that is extremely bright and fine with a high frequency crimp style. At his first show, he took Color Champion in both Halter (of 17) and Walking Fleece (of 33)! Lasting fineness is in his genes! His multi-banner winning sire, FTAF's Privateer's stats are AFD 20.9, SD 3.9, CV 18.5, %>30=2% at age 6. First Mate's manner is mild, just like his sire's. Always a pleasure! Add this LAVENDER fleeced male to your program and he will not disappoint. He has settled his first female and is ready to make an outstanding contribution to your breeding program. Rare Gem Taupie’s In the SPOTlight is the harlequin daughter of the highly expressive harlequin herdsire, Vintage Cashmere's U-Taupe-ia. For appy-harlequin breeders, this is an exciting proven genetic that has expressed >80% of the time! Spotlight is the paternal sister to a great line-up of harlequins, leopard appaloosas... and even a brindle calico, Ms. Fancy Pants. Spotlight has been introduced to the wildly spotted Apache Gentleman. Apache himself has a pedigree packed with harlequins and polkadots. Spotlight is conformationally correct with a lovely fleece. True to harlequin type, Spotlight is continuing to darken with age. She doesn't fit neatly into the AOA color chart, but was shown as light rose grey at her four shows. Looking to add quality appaloosa harlequin genetics to your herd? Don't miss this 2-in-1 package! 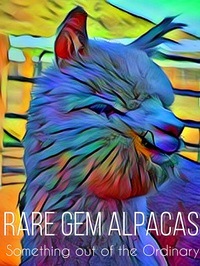 Welcome to Rare Gem Alpacas! I have a passion for alpacas and a great appreciation for their full potential. 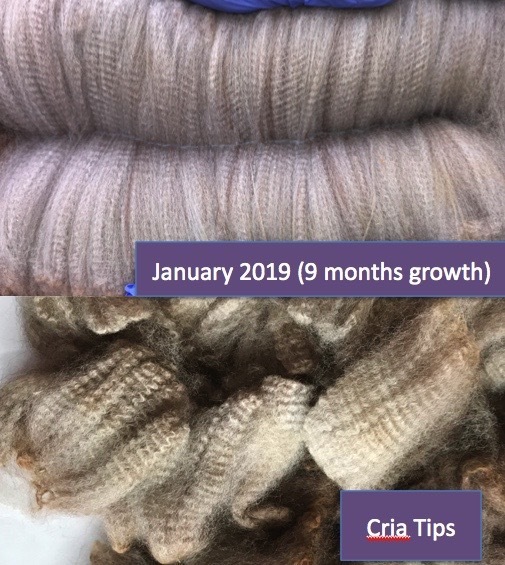 I enjoy breeding for High Quality, well-Defined traits that result in beautiful, healthy cria that take alpaca fiber to the next level. Whether you are looking to start a foundation herd or add to your existing herd with specific genetics or traits, I invite you to come visit my farm, meet the alpacas and discuss your goals. 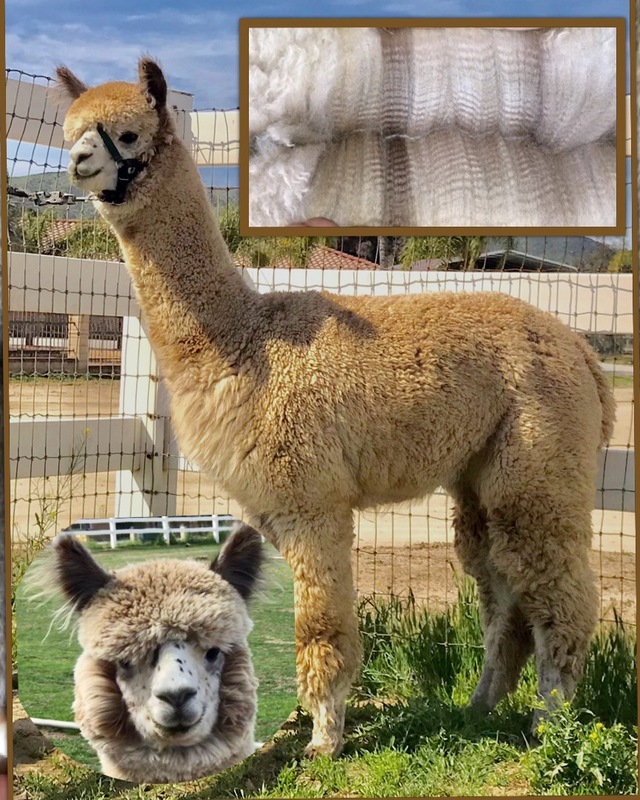 I have been so blessed by others in the alpaca industry that have been helpful and taught me the ropes and I want to extend the same assistance to other enthusiasts. The herd consists of a variety of well-proven bloodlines, and each of alpaca is registered by the Alpaca Registry Inc. Some of gems legendary genetics draw from top imports (including Hemingway, Caligula, Quijote, Danko and Shere Khan-- possibly the most famous herdsire in Peru, who sired the Vendagor / Capac line. my herd also includes many of the top breeding programs of the modern era including (Taos, Outlaw, Snowmass, Patagonia, Bisturi and Lanark).